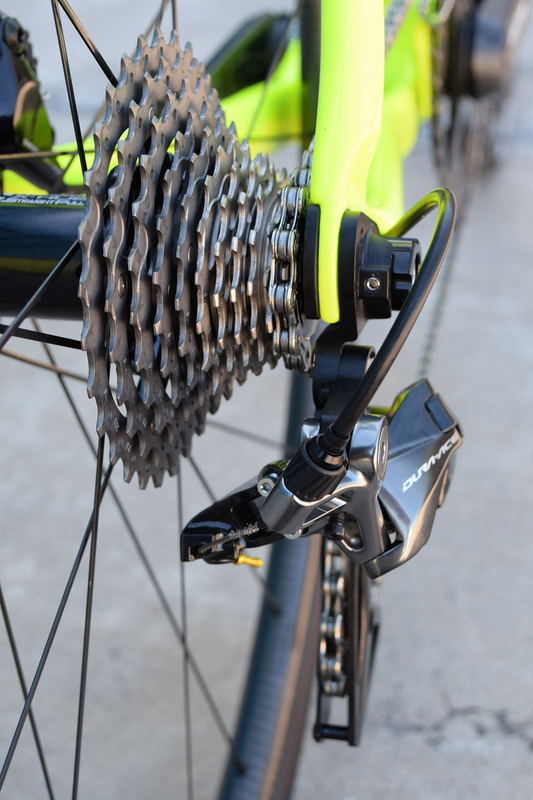 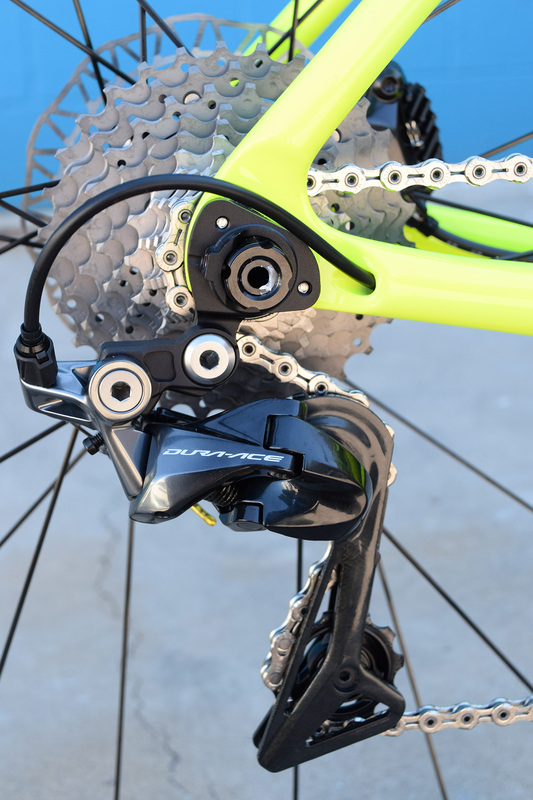 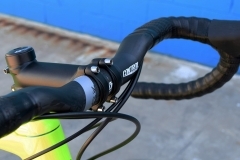 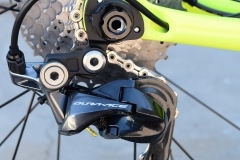 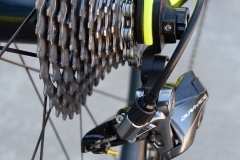 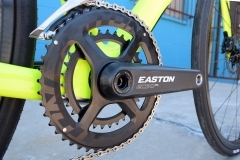 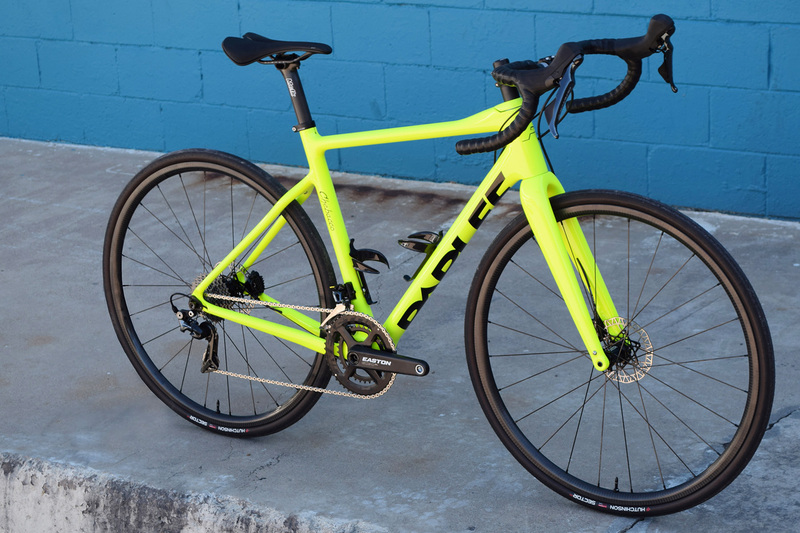 This custom-built Parlee Chebacco gravel bike is equipped with a Dura-Ace R9120 mechnical drivetrain and hydraulic brakes. 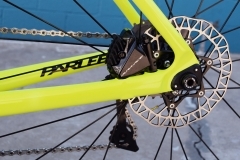 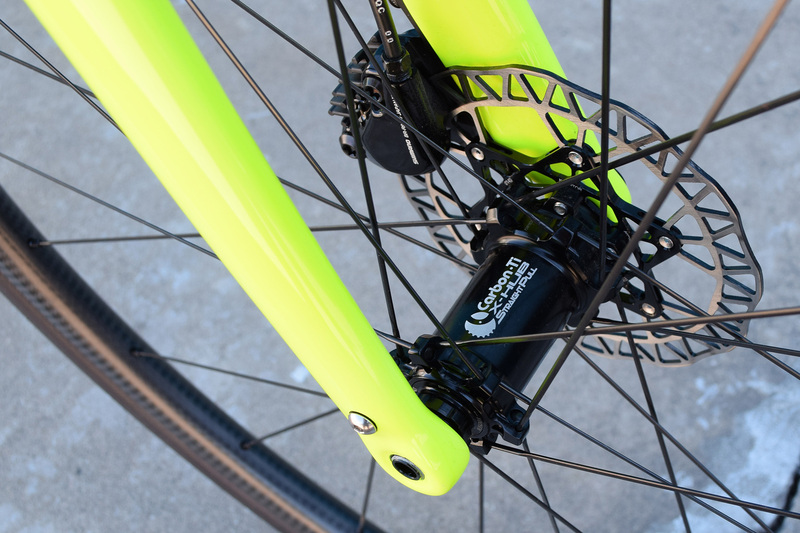 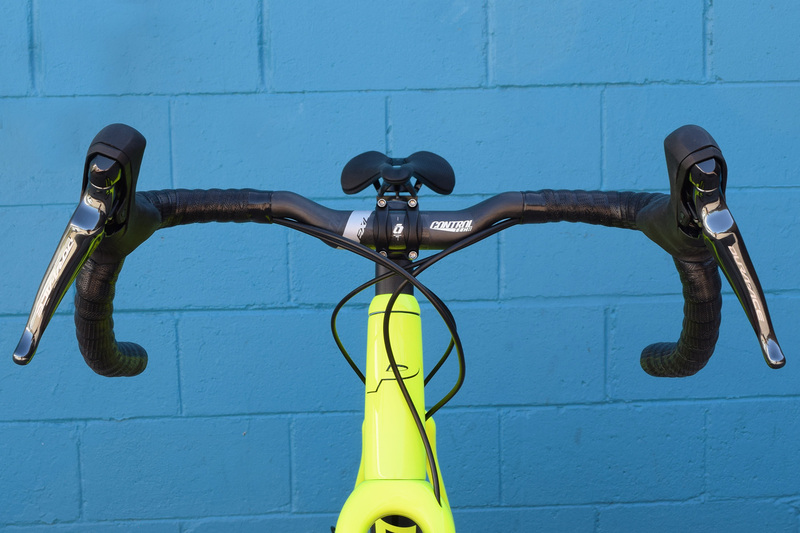 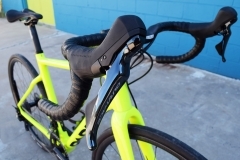 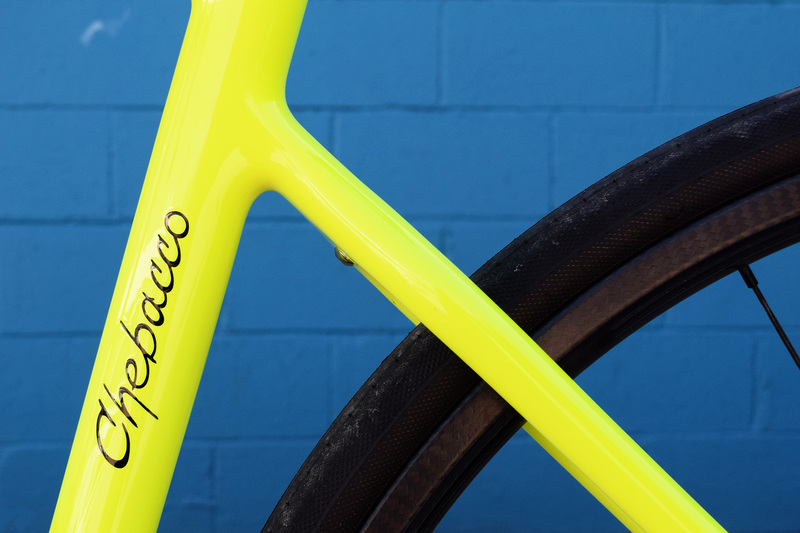 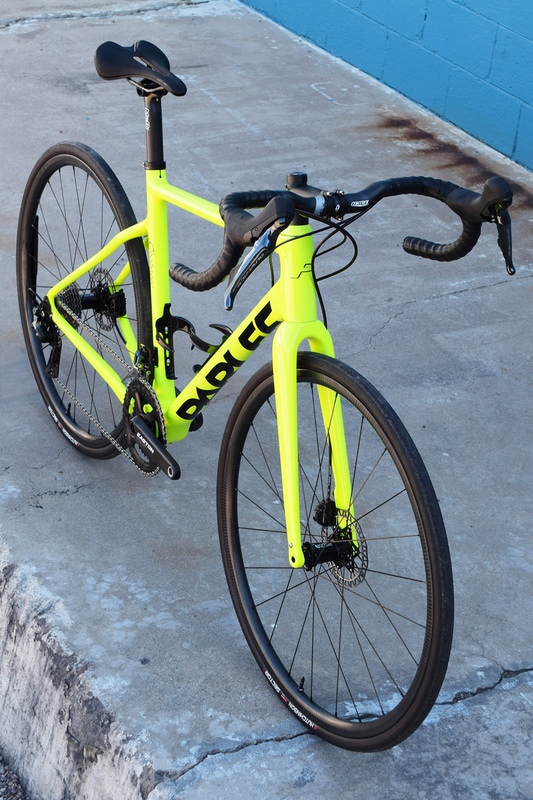 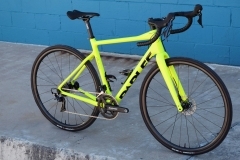 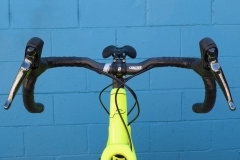 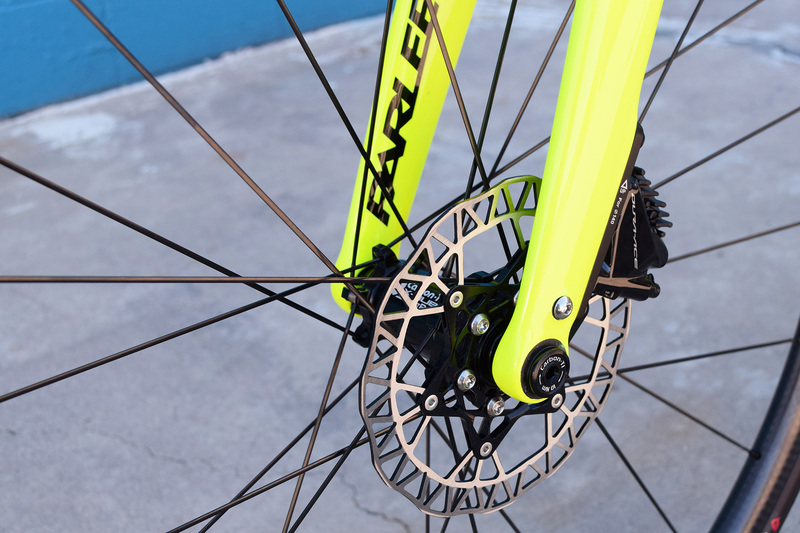 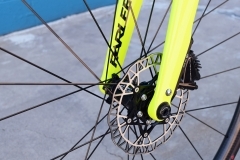 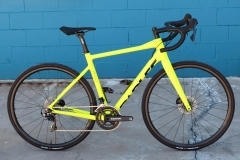 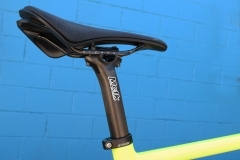 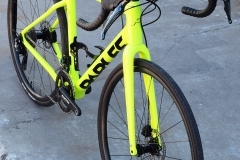 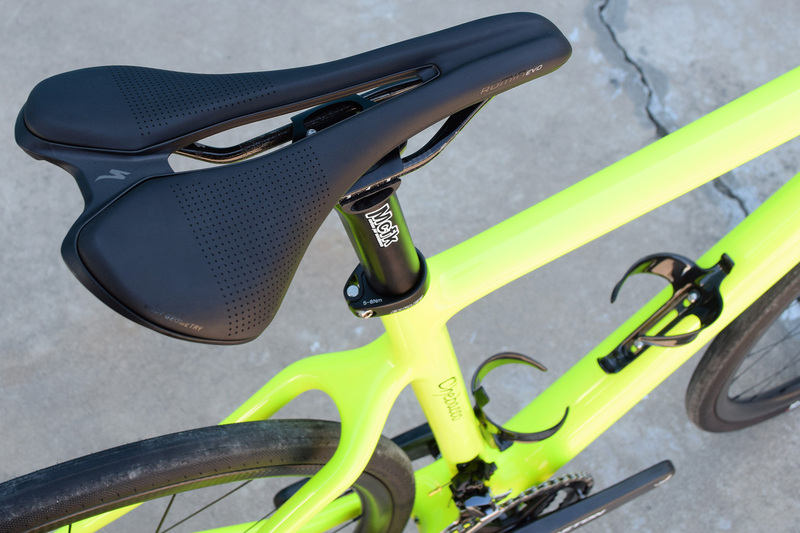 The eye-catching single color flourescent yellow paint job is a product of Parlee’s impressive in-house paint studio. 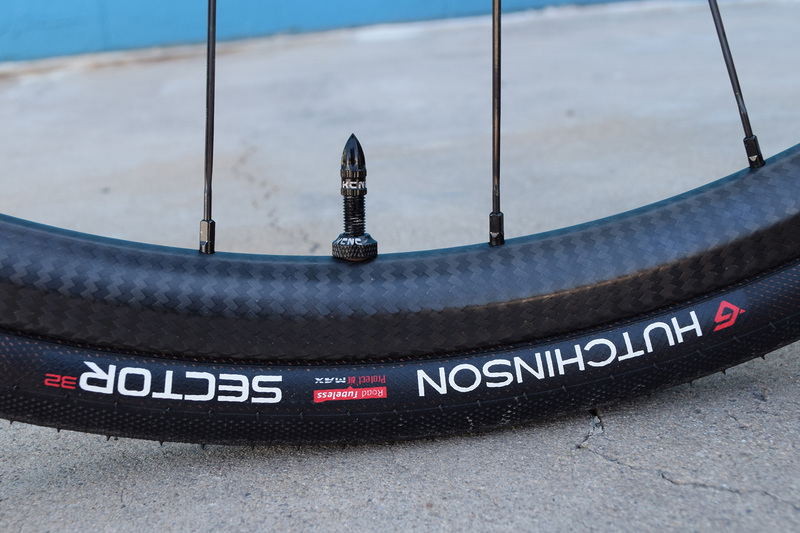 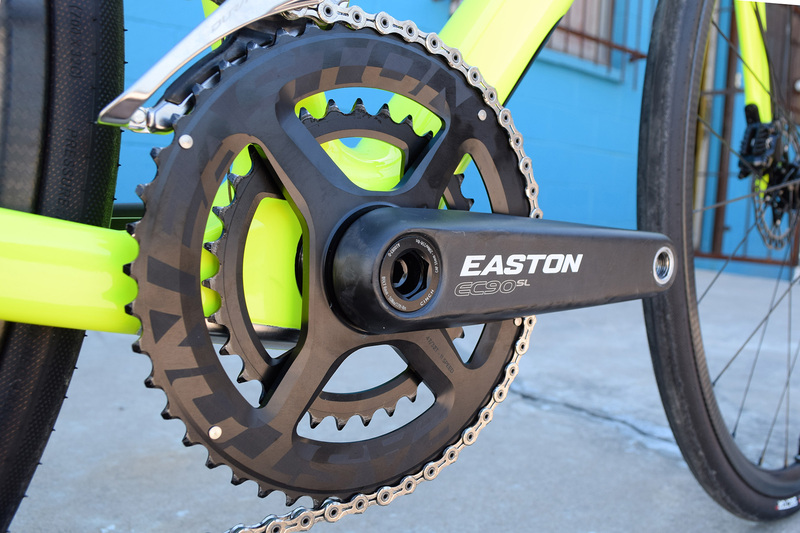 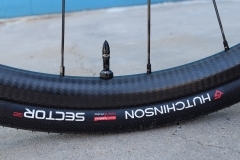 We kept the weight down on this build with a combination MCFK / Controltech carbon cockpit, a Carbon-Ti / FSE tubeless wheelset, and Easton’s EC90 SL carbon crank. 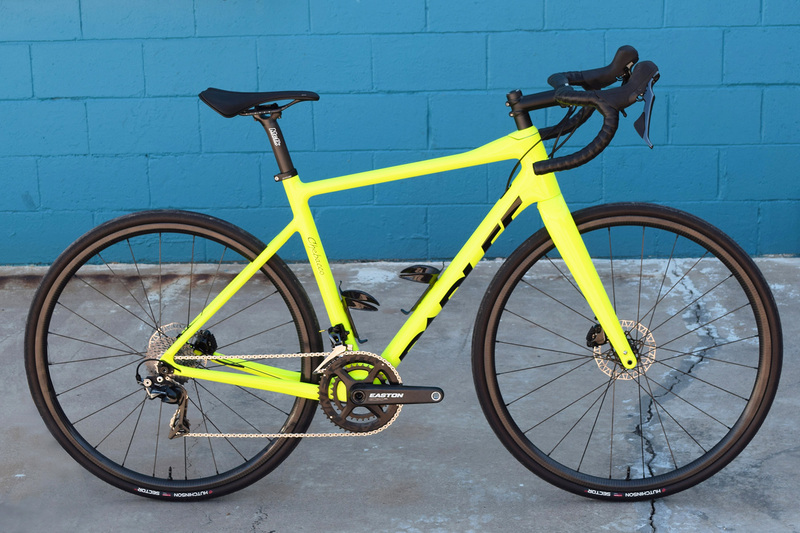 Total build weight (without pedals) was 15.7 pounds.